April 14 (AZINS) The month of April has a surprise for all movie buffs. It is set to bring Hollywood's much-awaited film 'Avengers: End Game' on screens from Apil 26. Apart from that, the Indian audiences will finally get to witness what is being touted as the epic love story - 'Kalank'. Starring Varun Dhawan, Alia Bhatt, Sonakshi Sinha, Aditya Roy Kapur, Madhuri Dixit-Nene and Sanjay Dutt in lead roles, 'Kalank' was a movie which was visualized 15 years back by the late filmmaker Yash Johar. The movie was finally taken forward by his son Karan Johar, who got Abhishek Varman to helm the film. 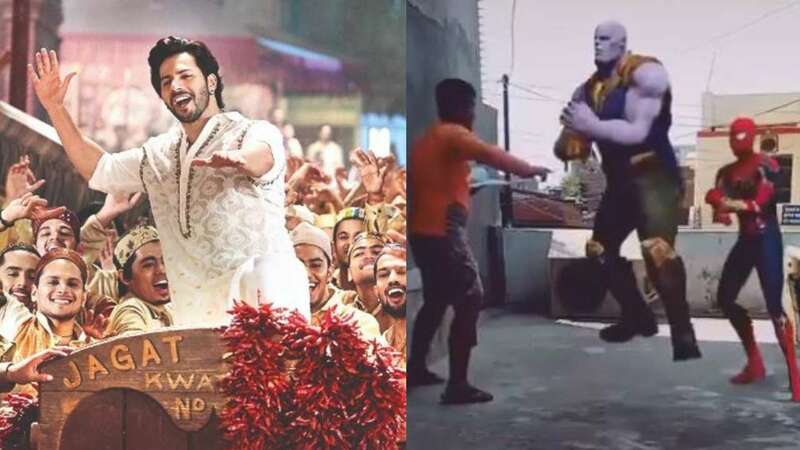 Meanwhile, 'Avengers: Endgame's two main characters Thanos and Spiderman were busy appearing in a TikTok video of the 'Kalank' song 'First Class' which features Varun Dhawan along with actress Kiara Advani. The video and Thanos-Spiderman's Indian dance is sure to leave you in splits. The video got a stamp of approval from the actor Varun Dhawan too. "Best #firstclass ever #avengersendgame," he tweeted while sharing the video on his page. Talking about 'Kalank's clash with 'Avengers: Endgame', Varun had previously said in an interview to a radio channel, "Our film is coming out nine days before (Avengers), even internationally we are getting a big release. Nine days is a lot for 'Kalank' to be seen and liked by people. These days, if people like a film, it works. So if they like Kalank, it will continue to run. There is enough screen space for both these films to run."